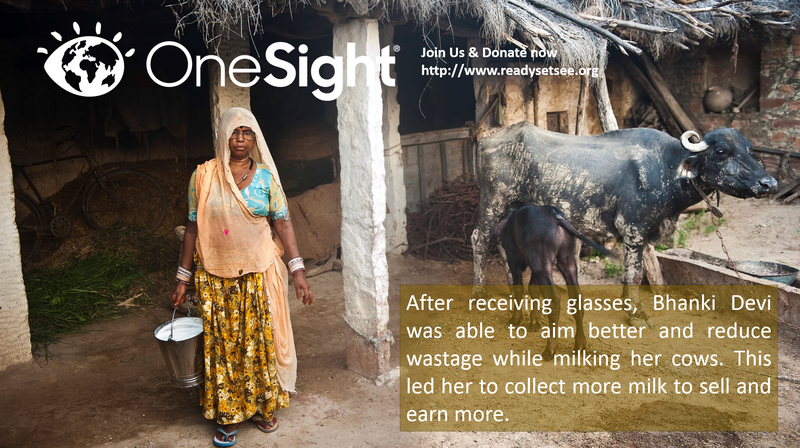 OneSight is a global non-profit organization leading the movement to help the world see by bringing sustainable and immediate vision care solutions to communities that need them most. 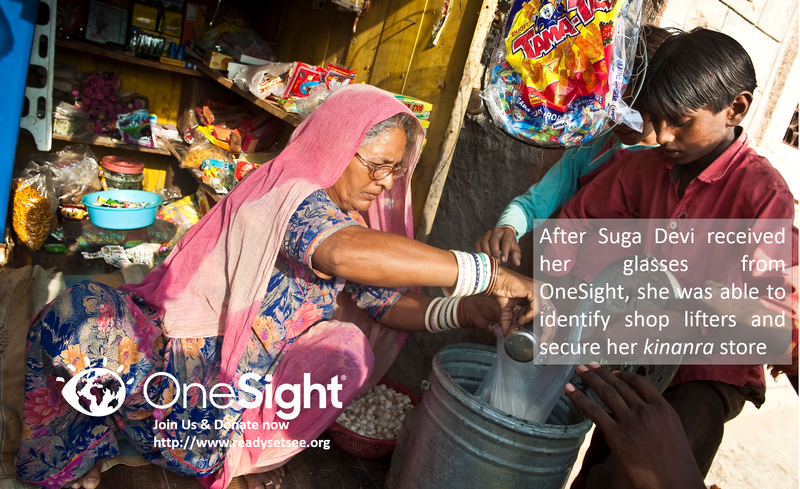 Since 1988, OneSight has empowered sight in 47 countries. We believe that with continued support from volunteers and sponsors, vision care can become readily available to every community, country and continent in our lifetime. Our promise is simple: we will not stop until the world can see.To learn more about OneSight visit onesight.org. 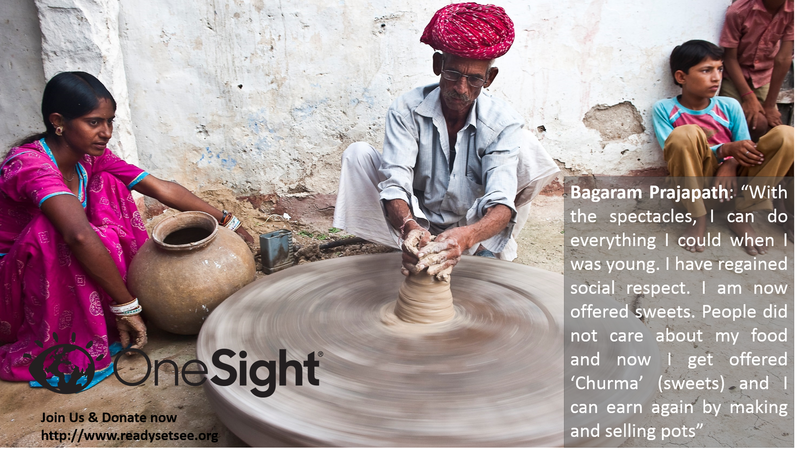 OneSight in India has organized 40 regional eye camps since 2012 and helped more than 15000 patients. we organize 7-10 regional eye camps every year in India. Join us in the fitness and fundraising challenge from September 1 - October 12 (World Sight Day 2017) to help bring an end to the vision care crisis. On this World Sight Day One Sight is going the distance and give glasses to those who need it the most. We target to raise Rupees 7 lakhs 50 thousand to open a vision center for the community. This vision center will provide free access to people to get their eyes examined. For students it’s the chance to learn to their potential in school. For a mother it’s a chance to cook again for her children. For a father it’s an opportunity to earn again for his family. And for a grandmother it’s a moment to care of her grandchildren’s. All these can live their dreams with the help of a simple pair of eyeglasses. This can only happen with your help! Support us raise funds for cause. Just run, walk, bike, or swim and raise critical funds that will help open a vision centre and support the neediest people in India. Register. Join the challenge and invite your friends to participate at Readysetsee.ketto.org. Fundraise. Raise funds by asking your friends and family to donate to your page. Get active. Get out and get active and share your progress on social media. If you aren't able to particpate, but still want to make a big difference you can donate to the challenge or support a particpant at Readysetsee.ketto.org.